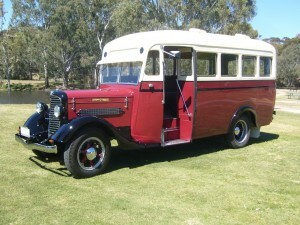 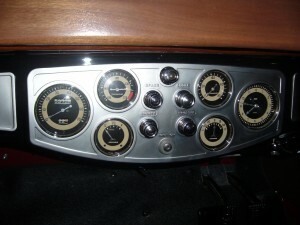 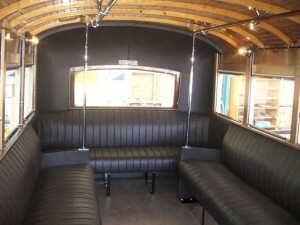 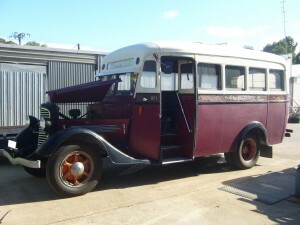 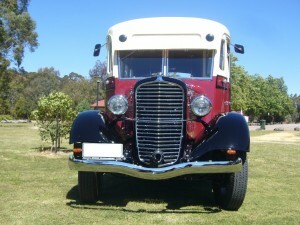 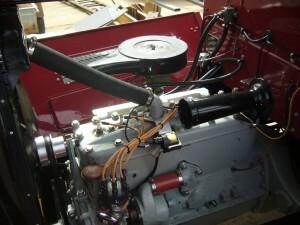 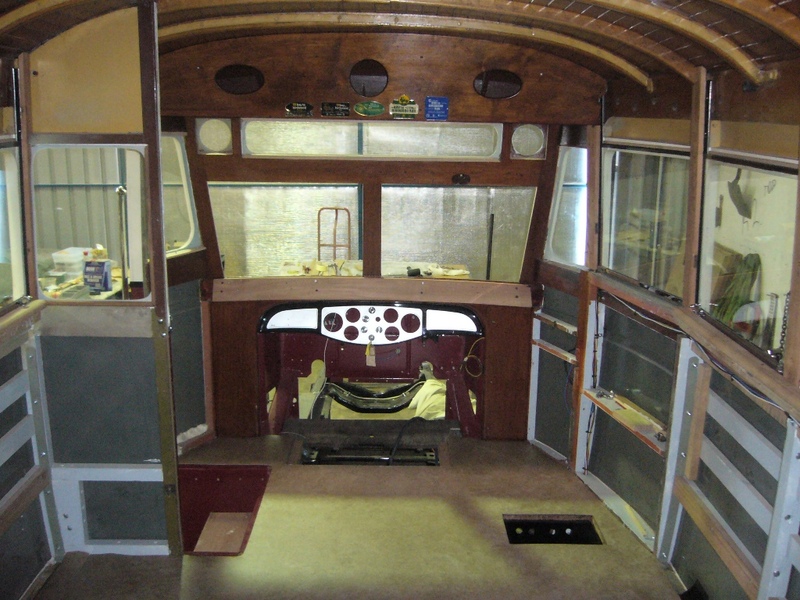 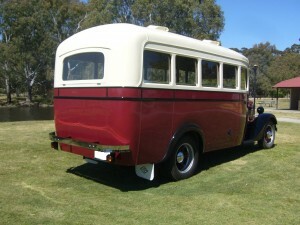 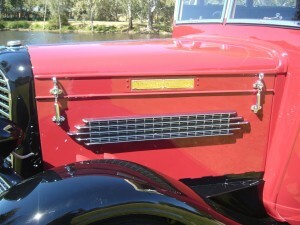 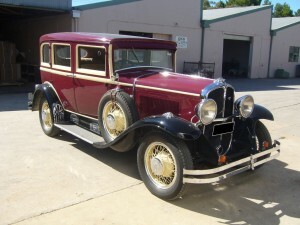 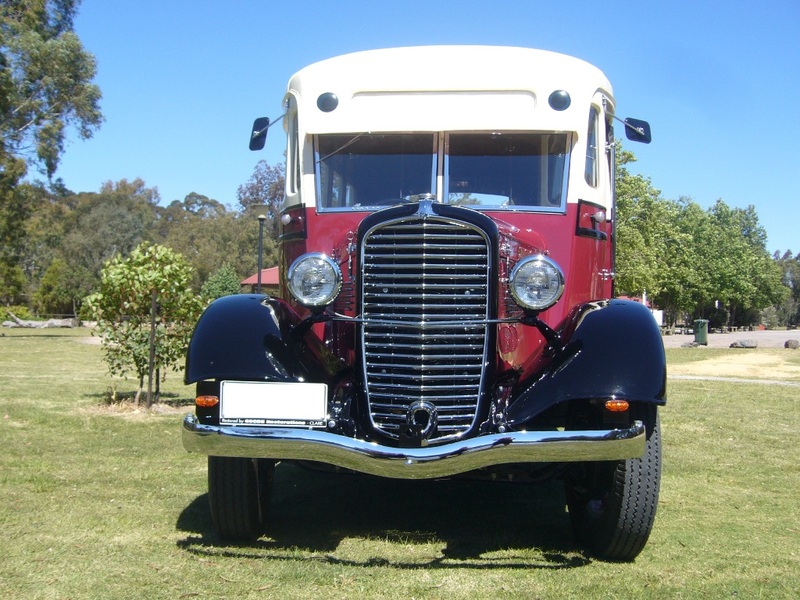 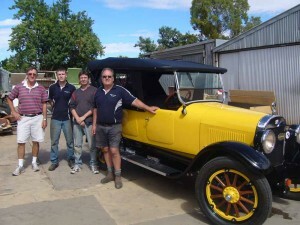 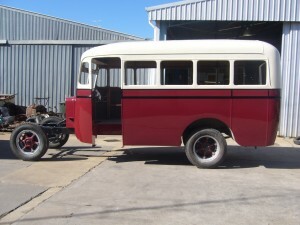 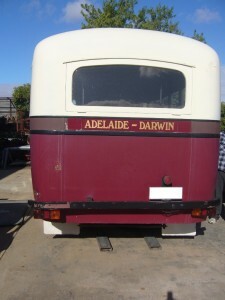 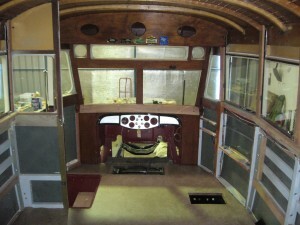 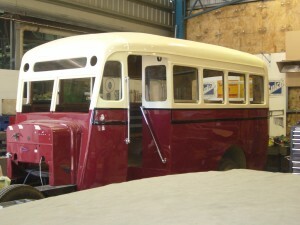 The 1935 Diamond-T bus as driven to Goode Restorations. 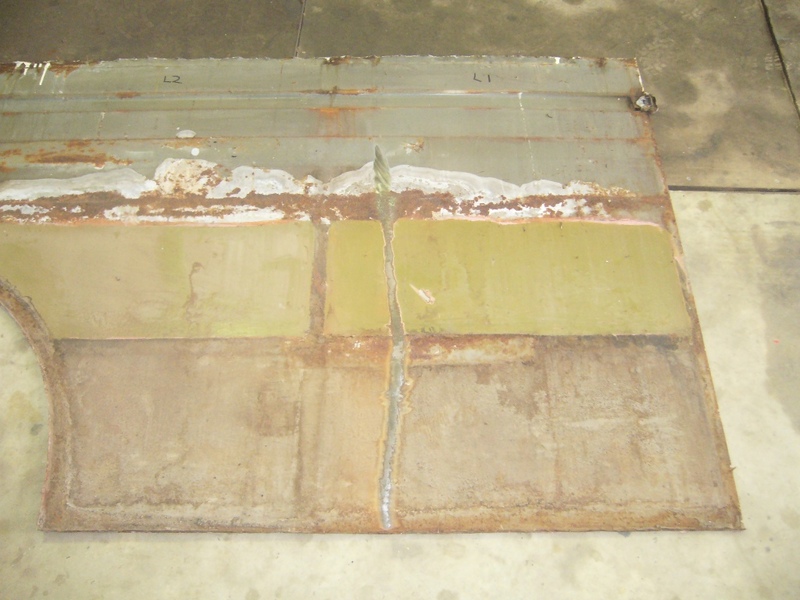 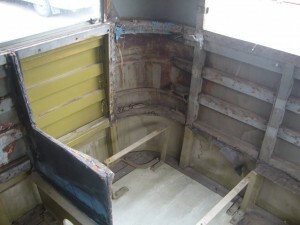 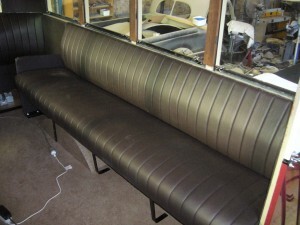 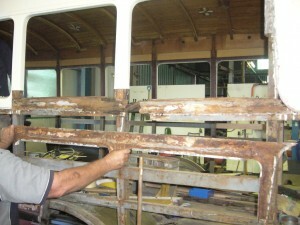 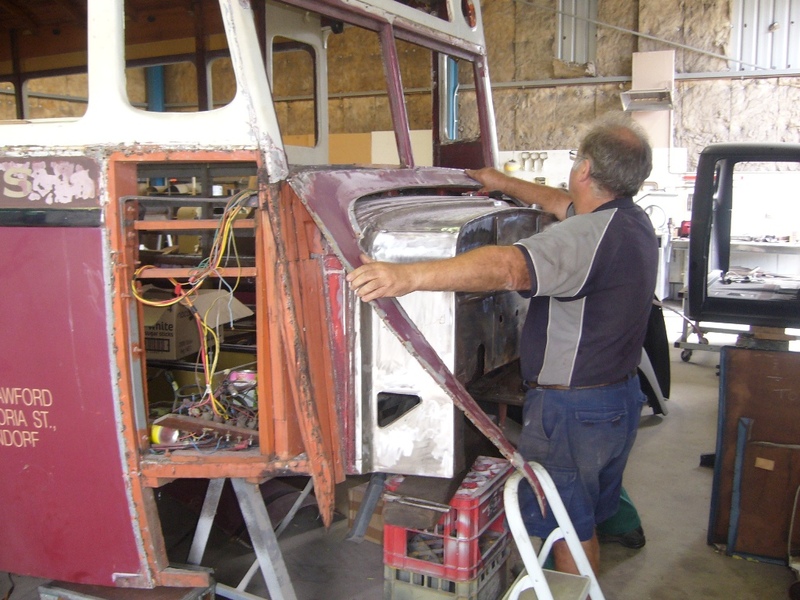 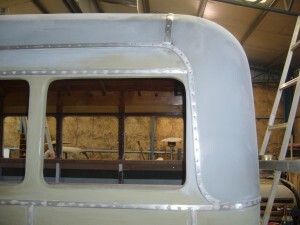 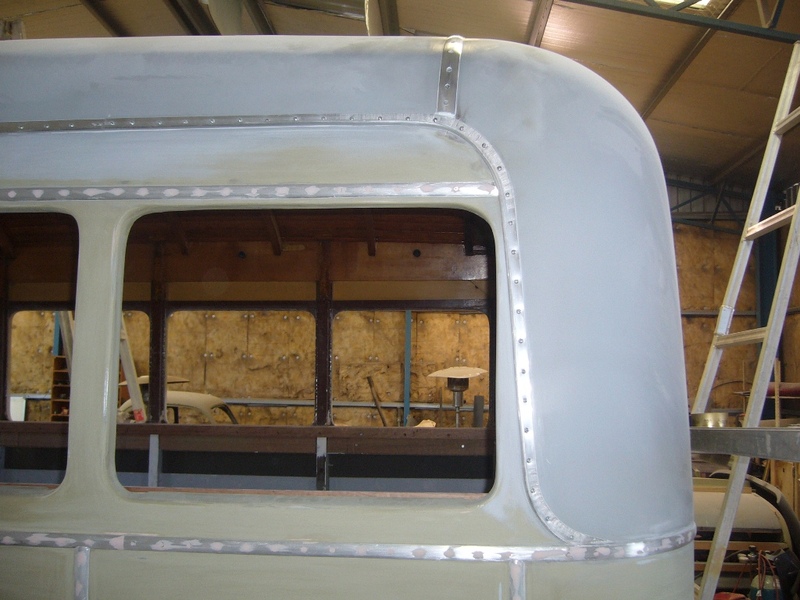 With the seats and trim removed it was found that the steel sheeting had began to rust on the inside. 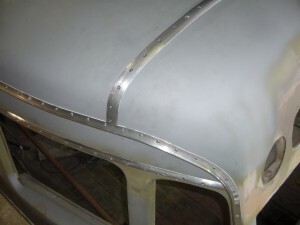 The inside of the rear corners had rusted the worst. The steel sheeting has been removed to expose the wood. 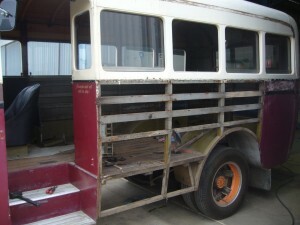 The wood was in surprisingly good condition considering the rust found on the steel work. The steel sheeting off of the body, it has rusted so much in the centre that pin holes can be seen. The wood in the rear uprights has very bad water damage and needs to be replaced. 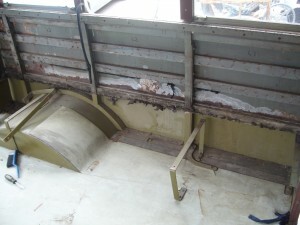 This picture shows how much wood was removed for replacement. 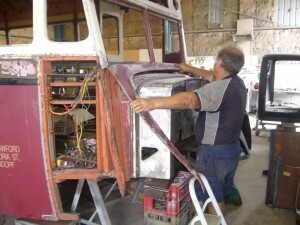 Body lifted off of the chassis can be cleaned, sandblasted and painted. The sheet metal work being removed from the front so the cowl can be removed for sandblasting and rust repair. 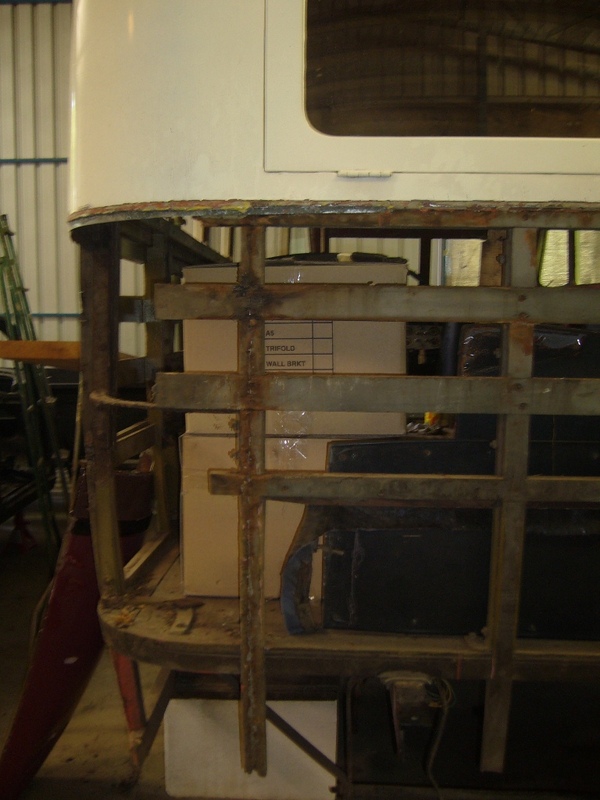 The wood along the left hand side has had considerable water rot, the sheet metal around the windows was removed to make replacing the wood easier. 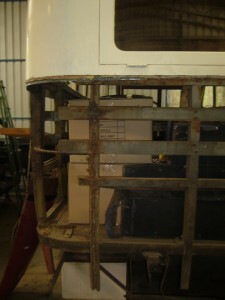 This picture shows how much wood was replace along the left hand side and at the rear. 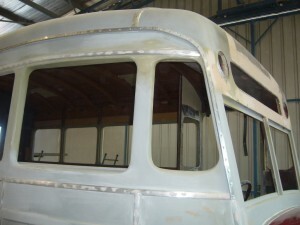 After all the wood work was completed the all of the wood was sanded and painted to protect it from moisture. 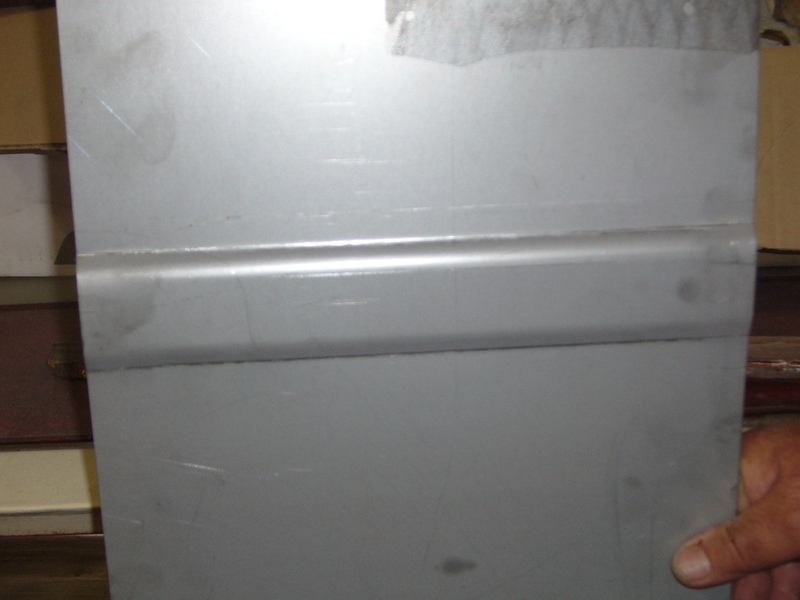 A test of the die that we have had made to swage the line into the new skins for the sides. 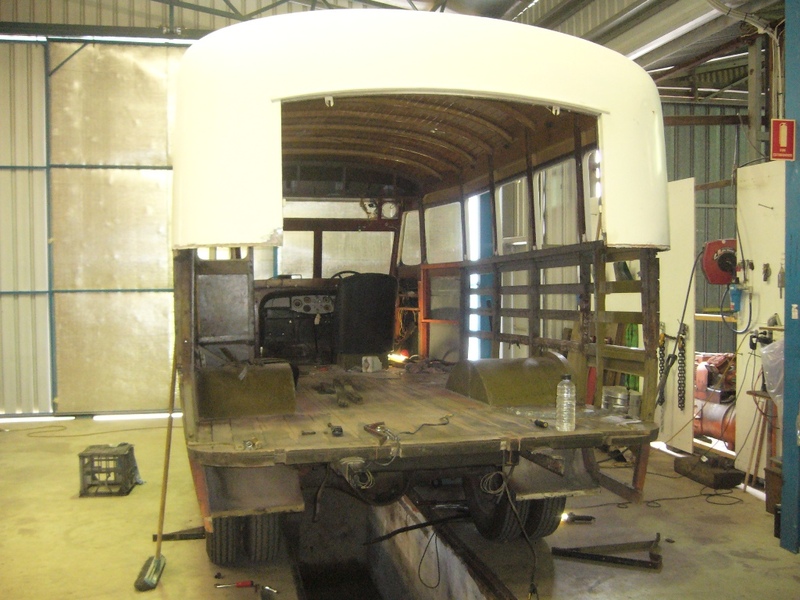 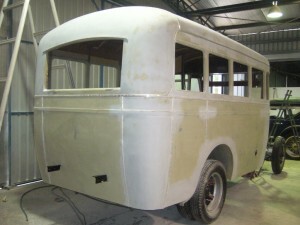 The Bus already for paint. 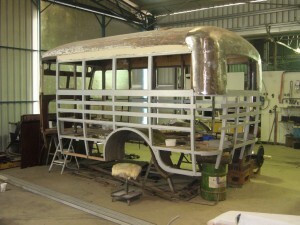 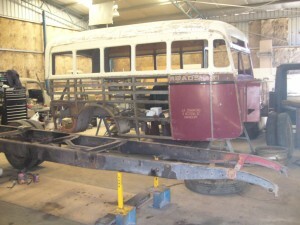 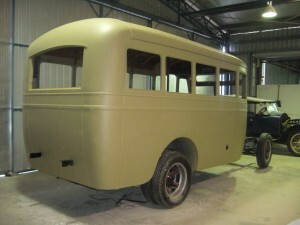 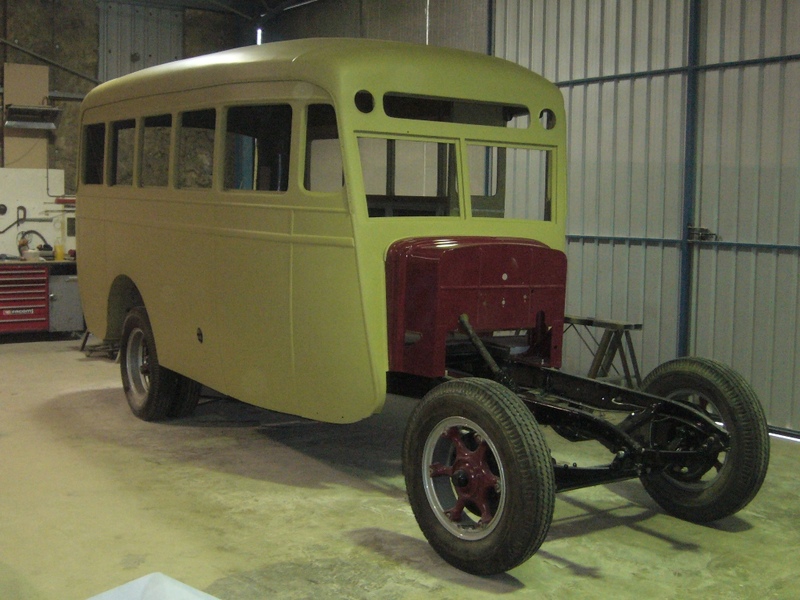 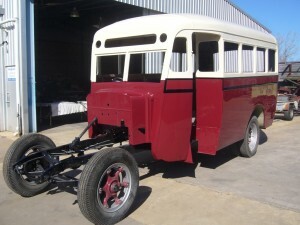 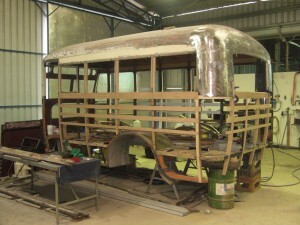 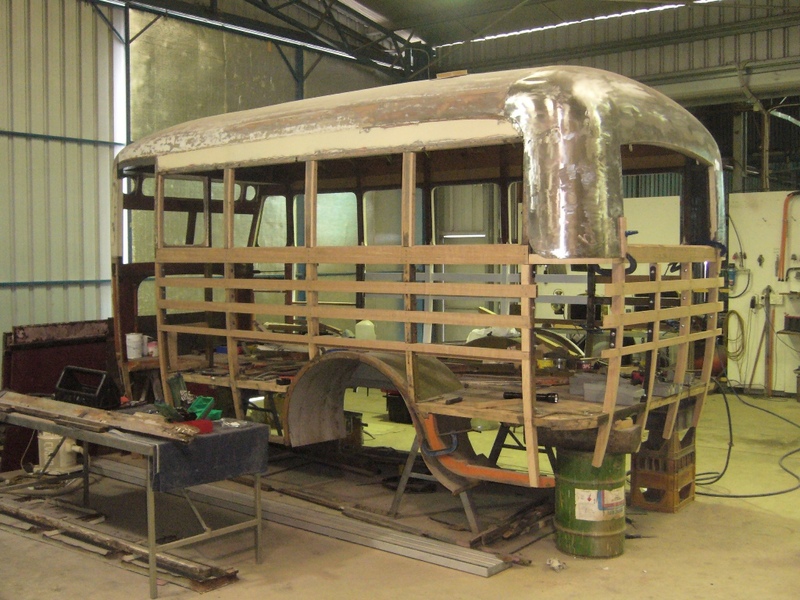 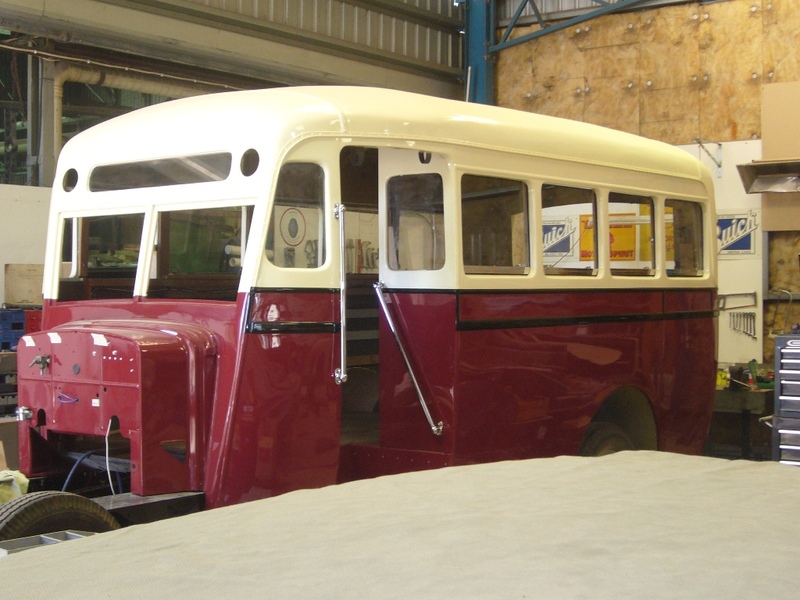 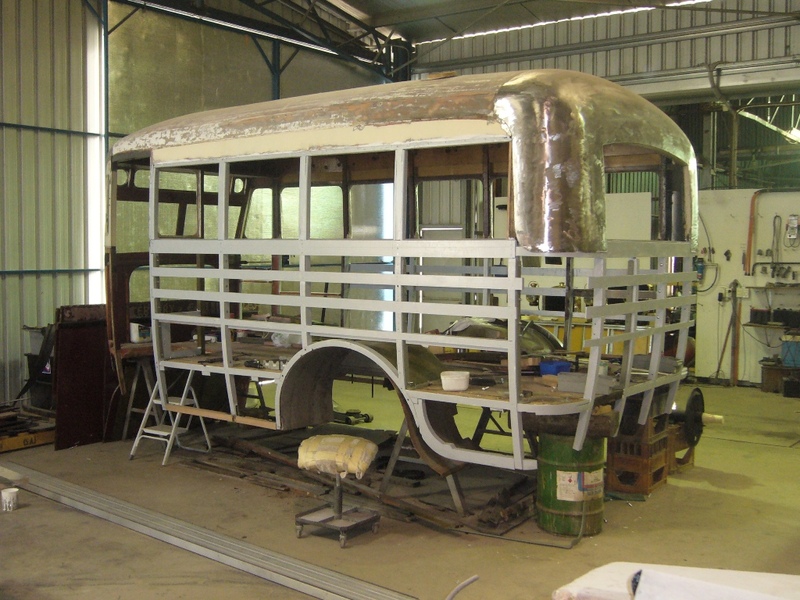 The bus back from the paint shop ready for final assembly. 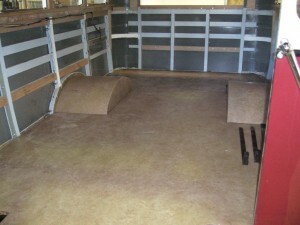 Masonite was placed over the old floor before the lino was laid. 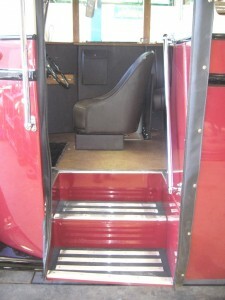 Right hand seat back in place. 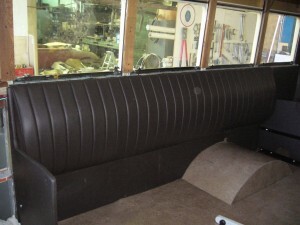 Left hand seats all done. 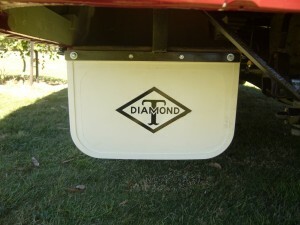 The Diamond-T logo was printed onto steel and stuck to the mud flaps.